Justin Trudeau got a windfall and spent it, delivering a pre-election budget that leaves Canada’s deficit track largely unchanged. Finance Minister Bill Morneau unveiled his fourth fiscal plan Tuesday in Ottawa, announcing $22.8 billion over six years in new spending funded by a spike in revenue. In a year Trudeau had once promised to have balanced the budget, he’ll instead head into an October election with an annual deficit of nearly $20 billion. The deficit path is little changed. Canada will finish the current fiscal year with a $14.9 billion shortfall, down from $18.1 billion forecast previously. That figure included a $3 billion risk buffer, meaning the year finished in line with the government’s November estimate. The deficit is 0.7 per cent of the country’s gross domestic product, far below many other western nations. The U.S. budget deficit in 2019 is roughly 5 per cent of GDP. 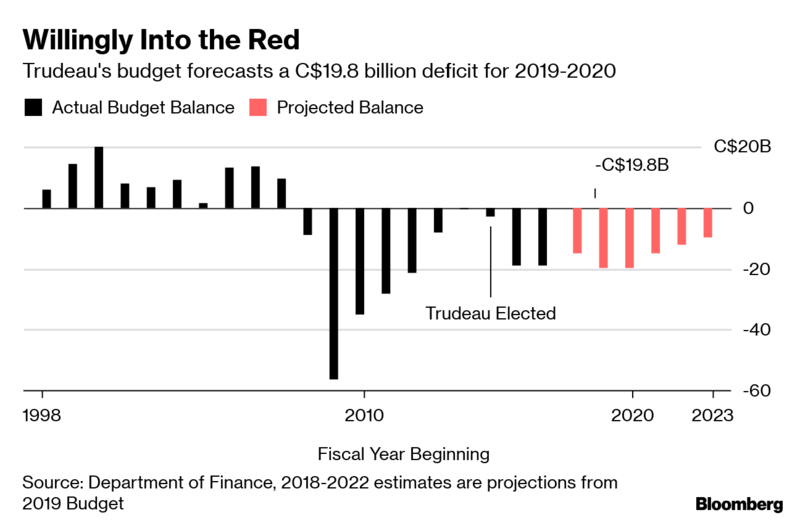 Trudeau’s government will run a $19.8 billion deficit in the fiscal year that begins April 1, up slightly from the previous estimate. The following four years will have a cumulative shortfall of $56.4 billion, down slightly from the $57.2 billion forecast in the fall. The prime minister pledged in the 2015 election to balance this year’s budget, a promise he quickly abandoned. 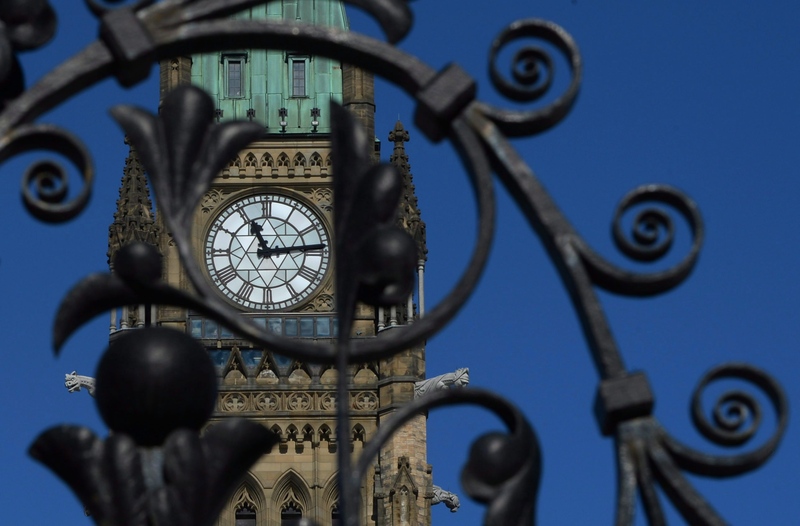 The ratio of federal debt to the economy, however, is projected to fall from 30.8 per cent in the current fiscal year to 28.6 per cent by 2023-24. The new spending is being funded by $15.1 billion in new revenue, largely from personal income taxes and excise taxes. Canada’s economy has slowed recently but its job market remains strong, buoying government finances. Trudeau’s budget makes notable changes to housing policy. It introduces a system for the country’s housing agency to help first-time buyers by taking up to a 10 per cent stake in a home, lowering the size of their mortgage. Key details of such transactions, however, remain unclear. Families that make more than $120,000 annually won’t qualify and there’s a cap on the value of homes that are eligible. The government is increasing the amount of money homebuyers can withdraw from their retirement savings for a down payment, and expands the situations in which they’re allowed to do so. The budget also sets aside $635 million over five years to spur the construction of new rental units and other housing supply. Trudeau’s plan includes $2.2 billion in new funding for municipalities to spend on infrastructure projects, and indicates the government’s existing multi-year infrastructure fund is largely unchanged. The budget also includes new funding, and optional leave from work, for retraining.